This is a beautiful home with history and great bones, awaiting a new owner’s personal touch. It is full of light and worldly prestige, high ceilings and an open floor plan designed with indoor/outdoor flow. The Home was designed with most of the square footage on the first floor. The living area consists of a formal dining room, living room with double sided fireplace, gourmet kitchen with custom cabinetry, center island and breakfast sitting room, a wood paneled office and a bookshelf lined library. Two ensuite masters, one upstairs with a balcony. There are 4 other bedrooms, and an additional 3 bathrooms on the main level. This home features a total of 5 bedrooms, 6 bathrooms, approx. 6,443 SF and an approx. 18,518 SF Lot. The den with fireplace and French doors opens to the backyard with huge patio area. A very private feeling Zen outdoor with pool, spa and viewing deck to enjoy the serene canyon views leading to a perfectly poised vista view of the ocean; Perfect for al fresco dining. Two car direct entrance garage with an adjacent approx. 200 SF gym. Near Roscomare Elementary and Warner Avenue Elementary schools. Rose Mayhew, one of Los Angeles’ most respected and successful real estate professionals, brings over 21 years of experience as well as integrity, commitment, professionalism and creative service in every detail of the real estate transaction. 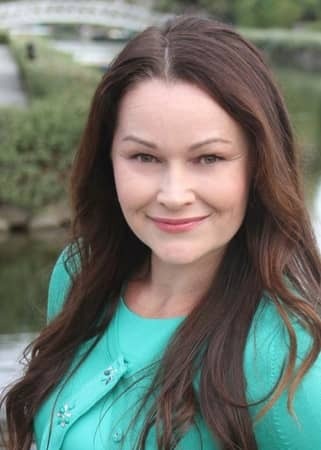 She grew up in the coastal community of Venice, CA and specializes in the Westside to Malibu; She has worked every aspect of the industry representing Sellers, Buyers, Landlords and Tenants in the residential market place. Rose is a member of The Malibu Association of Realtors, The Beverly Hills Greater Los Angeles Realtors Association, The National Association of Realtors, The California Association of Realtors and The Institute for Luxury Marketing. She is a Certified Negotiation Specialist and Green Certified. Rose’s consistent performance as a Leader in Real Estate has allowed her to take full advantage of cross marketing between two of the top real estate offices and markets in Southern California: Malibu Colony and Brentwood. This brings a unique advantage to all of her clients.